I created this card in less than 90 minutes for a challenge at the Hero Arts Flickr Group. I’m mentioning this mainly because the time period is quite a big challenge for me, since I am pretty methodical when I’m designing a card. Periodically we (in this Flickr group) have a timed card making challenge called a Scramble (we have to make the card and post it to the group within that time frame) and this morning we had one with a theme of Summer Fun. Since gardening goes hand-in-hand with summer here in the Pacific Northwest, I selected this older wood-mount stamp from my Hero Arts stash. This card is also fitting for the Simon Says Stamp Blog Monday Challenge: Summer Garden. Thanks for stopping by. This entry was posted on Saturday, June 11th, 2016 at 11:56 pm	and tagged with cardmaking, flora, Hero Arts, my mind's eye, stamping, watercolor and posted in Challenges, General Cards. You can follow any responses to this entry through the RSS 2.0 feed. This card is absolutely amazing! I have never seen anything quite like it and I love, love, LOVE how you pieced together the different patterns and colors so perfectly! This reminded me of the most beautiful quilt there could ever be and each layer pairs so nicely with what’s around it. Clever, clever use of space and color and I found it totally inspirational. 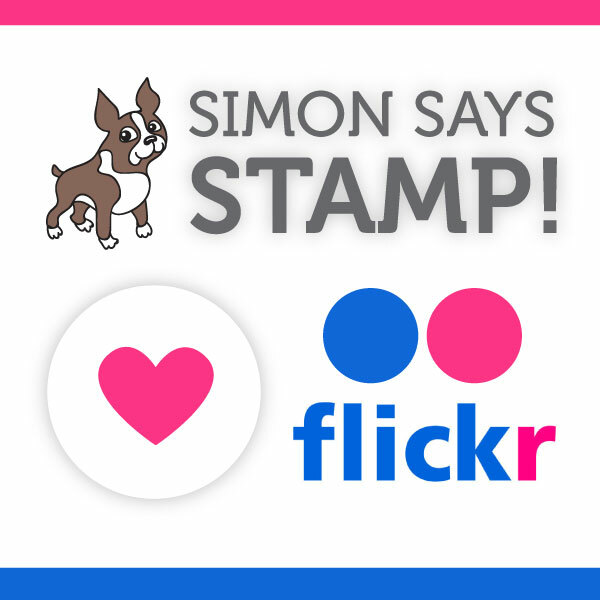 Thank you so much for sharing this with us for this week’s Simon Says Stamp Monday Challenge!